Magazines are the best source to keep yourself updated with all the latest trends say it health, fashion, politics,fitness and what not. A magazine should be colorful and should contain the relevant in trend articles considering all age groups. FITLOOK is a Fitness Style Magazine. The magazine launched its 1st issue in November 2016 across cities in India.The Magazine is run by Ms Karnika Budhiraja and Mr Mohit Kathuria. 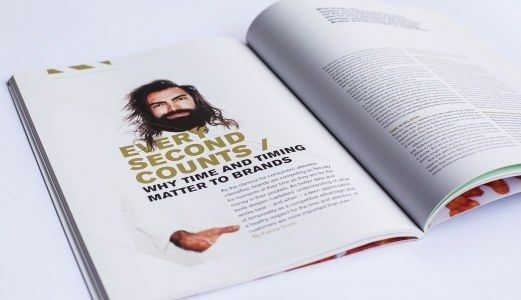 The magazine aims to provide its reader good insights about striking a perfect balance between an uncontrolled professional lifestyle and a self-controlled personal lifestyle. The magazine is basically a grooming magazine for all the readers. The magazine tells how to balance life as people only focus on fashion and beauty forgetting about fitness. Fit Look Magazine is the ultimate grooming guide for all the readers looking for fashion and fitness under one roof. The Elite Delhi Magazine is a magazine that captures it all And bring you into a world known As Elité Delhi. 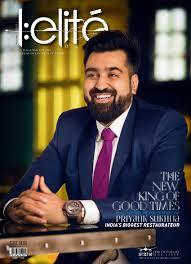 The Magazine is owned and run by Mr Jatin Ahuja. On the other hand Mr Jatin Ahuja is also owner of “Big Boy Toyz” Company. Its Malls Are Stocked By The Latest Fashion Brands And Farmhouses That Are Tastefully Decorated With Art And Artifacts. The Young Drive Into The Night With Their Super-Cars And The Young By Heart Enjoy Their Nights Third Bottle Of Chardonnay. So For Us That’s Elité Delhi, A City Where The Rich And The Connoisseurs Of Good Living Move In A Hallowed Circle. 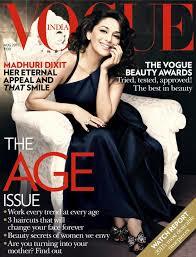 Vogue India is an Indian edition of monthly fashion, fitness and lifestyle magazine. Vogue India is published by Condé Nast India Pvt. Ltd.Condé Nast India is based in Mumbai and also has an office in New Delhi.The magazine was founded in 2007 and in a passage of time it has gained great popularity. 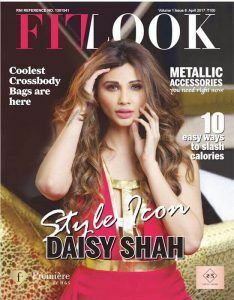 The magazine holds various categories such as fashion, beauty, horoscope, fitness, news updates etc.The cover featured leading actors and actress like Bipasha Basu, Alia Bhatt , Preeti Zinta, Priyanka chopra, Sidharth Kapoor Lakshmi Menon and many more. Ranked 3 in Top 5 Fitness Magazines Delhi. FITLOOK is a Fitness Style Magazine. The magazine launched its 1st issue in November 2016 across cities in India.The Magazine is of Ms Karnika Budhiraja and Mr Mohit Kathuria. Aims to provide its reader good insights about striking a perfect balance between an uncontrolled professional lifestyle and a self-controlled personal lifestyle. The magazine is basically a grooming magazine for all the readers. Magazine tells how to balance life as people only focus on fashion and beauty forgetting about fitness. Fit Look Magazine is the ultimate grooming guide for all the readers looking for fashion and fitness under one roof. The cover featured Guru Randhawa ,Banij, Anusha Dandekar, Gauhar Khan, Elli Avram Sana Khan and many more. GNG Magazine is a great Fashion and Fitness Magazine that hold various broad categories such as fashion, beauty and hair, health, lifestyle,celebrities, women and many more.Mr Praveen Bhatt and Ms Reema bhatt.Mr Praveen Bhatt is Fashion Photographer of Bollywood founded it. Ranked 4 in Top 5 Fitness Magazines Delhi. The Cover featured Gautam Gulati, Daisy Shah,Sana Khan, hrithik Roshan, Urvashi Rautela and many more. SUBSCRIPTION – The cost of the book is just 100 INR and you can place order through their official website. Gladrags is a lifestyle, entertainment , travel, fitness and lifestyle magazine. It brings the latest ideas trends and focus lifestyles into focus within its pages. GLADRAGS advertises fashion wear, household products, office products and fabrics, jewellery, fashions, accessories, watches, travel, toiletries, hotels, restaurants, shoes, cars motorbikes, TVs and music equipment, mobiles, interior décor furniture’s… a myriad of products through the pages. Mannequins come to life, personages speak and parade, and fashions come off the racks and onto the pages. Ranked 5 in Top 5 Fitness Magazines Delhi. SUBSCRIPTION – 1 YEAR – 399 INR , 2 YEARS – 780 INR , 3 YEARS – 1135 INR , 4 YEARS – 1470 INR, 5 YEARS – 1785 INR. Finally :- These are Top 5 Fitness and Fashion Magazines in Delhi.